USA Heating, Cooling & Plumbing in Southeast Wisconsin is a plumbing service provider. When it comes to hiring full service plumbers or certified A.O. Smith water heater technicians, USA Heating, Cooling & Plumbing is the first choice for individuals and businesses in Southeast Wisconsin. Our plumbers are fully licensed, honest, professional and knowledgeable. 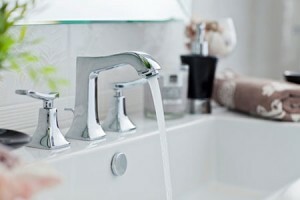 We do residential, commercial and industrial plumbing. We take extreme pride in our work and there is nothing more important than keeping our customers happy! You will get the best value for your money when you hire us for your plumbing needs. Contact us today if you would like to request a plumbing estimate, or have any questions about our plumbing services.